For the people of Northern Queensland, air conditioning is not so much a luxury as it is a necessity. It is also necessary to ensure that your system is running at peak efficiency in order to prevent wasting money and energy. A dirty, clogged or malfunctioning system may not only be detrimental to your energy bill, but also to your health. Mould, mildew, mites and grime thrive in a congested environment and the housing of your A/C unit may be the perfect breeding ground. Our cost-effective repairs and maintenance service allows you to breath easy knowing that you are looking after yourself, your family and your hip pocket. 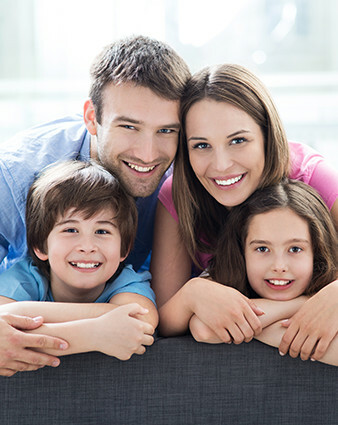 Do not risk the health of your family with a mouldy, bacteria and pathogen infused air conditioning system. If the air that you are pumping through your home is somewhat less than fresh, it is highly recommended that you book in for a thorough chemical hydro-clean. A chemical wash combined with high pressure hydro-cleaning, it is 100% safe to humans as well as your fur babies. Our chemical hydro-clean is the best way to eliminate nasties from your unit as it removes all traces of dirt, grime and dust as well as bacteria, mould, mildew and germs. Does your business have multiple air con systems? RNR AIR offers general equipment maintenance so you can stay one step ahead, keeping your units in tip-top condition and preventing major breakdowns. Annual general maintenance check-ups will keep your staff content year round with cool, fresh and healthy workplace airflow. Likewise, it is recommended that you book in for regular servicing on your home units, to prevent them from getting to a point where your health may be at risk. At RNR Air, we service all makes and models. Split systems or ducted, we will have it running efficiently saving you money and preventing unnecessary energy waste. Has your air conditioning unit given up? We offer system breakdown services from just $80. Do not rush out and buy a new system before you contact us at RNR Air. Our comprehensive break down service may just be what is needed to get your air con running cool and fresh once more. We also do all major repairs and can fit spare parts on the spot, saving you time and money. Any make, any model, we are fast and reliable. If you have a new air conditioning system that needs installation, our professional team will not only install your system, but advise you of the best place to put it, in order to get the most out of your air con. It is often the case that people chose the placing of their system from an aesthetic point of view, with out taking energy efficiency into consideration. System positioning can have a major effect on how much energy your system requires to run. We will place your system where you can gain maximum benefit from the coolness or warmth it is providing. Installation pricing varies depending on the unit so call us today for an obligation free quote on quality and reliable installation. We not only install and repair air conditioning systems but sell them also. With all the top brands available, we are sure to be able to supply you with the perfect system for your home, office or commercial workplace. Trusted brands like Daikin, Fujitsu and Mitsubishi in split and ducted air systems, if we do not have your preferred system in stock, we can order it in and install it as well. Come into our showroom and see what we have to offer. CALL NOW FOR YOUR OBLIGATION FREE QUOTE.